Every day, drivers make their way to work, drop off the kids at school, attend appointments or visit with family and friends. While they are traveling on the roads, drivers do their best to be safe at all times. Unfortunately, some accidents are very difficult to avoid. 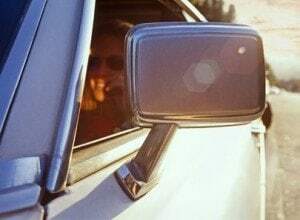 Chicago car accidents resulting from blind spots are very common because sometimes there is no way to avoid these accidents. New drivers and those with eyesight problems are particularly susceptible to causing blind spot accidents. A failure to check blind spots can have devastating consequences for the accident victims. If you have been injured in an auto accident involving the negligence of another driver, then please feel free to contact our Illinois auto accident lawyers for immediate assistance with your blind spot car accident case. We can inform you of your legal rights and help you assert your rights. We accept cases on a contingency fee basis. This means that you do not owe our firm any legal fees or payment unless there is a negotiated financial settlement or jury mandated damages award. New and inexperienced drivers can benefit from the additional wisdom that experienced drivers can impart about checking for blind spots. If you are a new driver on the road, then you can become more comfortable with driving by speaking with family members, friends, driving instructors or other individuals who may have helpful tips for you to remember in sharing the road with large trucks, motorcycles and other vehicles. The National Highway Traffic Safety Administration (NHTSA) reports that distracted driving is one of the leading factors that cause vehicle crashes every year. In 2008, there were a total of 34,017 vehicle crashes involving injury, death and property damage. About 16 percent of accidents were caused by distracted driving behaviors including a failure to look around the vehicle's blind spots. The Illinois legislature has implemented laws aimed at decreasing the number of accidents caused by distracted driving. In 2013, state lawmakers introduced bills that prohibited the use of cell phones in construction zones and banned texting while driving. Both of these laws were enacted to ensure that drivers remain focused on the road and routinely check blind spots. Illinois motor vehicle accident attorneys at Rosenfeld Injury Lawyers LLC are ready to assess your Chicago blind-spot accident case. We strive to provide justice to our clients when they have been involved in a blind spot car accident and have suffered injuries as a result of another driver’s negligence. We successfully resolve our clients' cases using our extensive legal abilities, expertise and comprehensive understanding of civil tort law. Please contact our Illinois motor vehicle attorneys to receive a free case evaluation here. If you were injured in a trucking crash involving a blind spot, look here.